A woman-owned, accredited staffing agency that specializes in Executive & Management Searches on a nationwide level and in Entry- to Executive level positions in the San Francisco Bay Area. a.e.s. offers professional and prompt staffing services. Since 1998, we have been providing temporary, temp-to-hire (contract-to-hire) and career placement (direct hire) staffing services. Our professional recruiters are highly selective in choosing employees for our clients that make a difference to their bottom line! 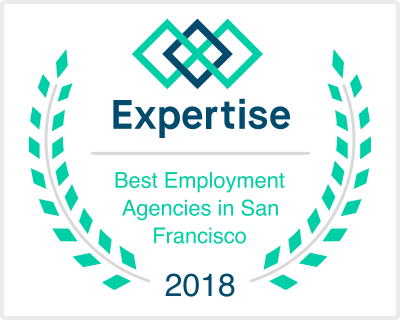 Advanced Employment Services, Inc. is a woman-owned, accredited staffing agency that specializes in Executive and Management Searches on a nationwide level and in Entry- to Executive-level positions in the San Francisco Bay Area. 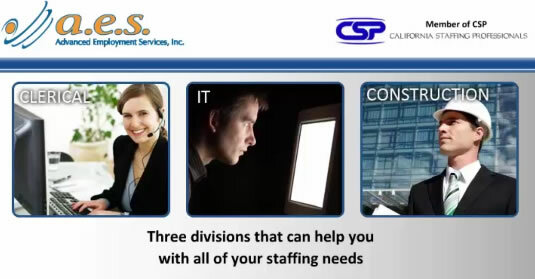 We provide temporary, temp-to-hire (contract-to-hire) and career placement (direct hire) staffing services. © Copyright 2019 Advanced Employment Services, Inc.